The capital city of Zhambyl oblast: Taraz. Zhambyl oblast (also spelled Dzhambul) capital city is Taraz. 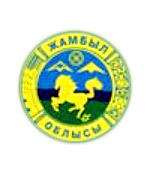 Zhambyl origin of name: after Zhambyl Dzhabayev (1846-1945), Kazakh poet. 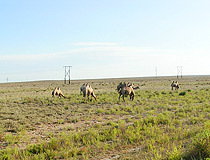 Zhambyl oblast is situated in southern Kazakhstan. 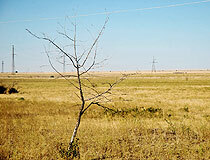 Zhambyl oblast population is about 1,025,000 (2009); land area - 144,200 sq. km. 2 June, 2012 / Picturesque views of Zhambyl oblast. 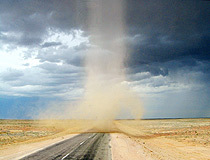 15 February, 2012 / The beauty of Zhambyl oblast nature. 4 October, 2011 / Missile firing at Sary-Shagan testing ground. 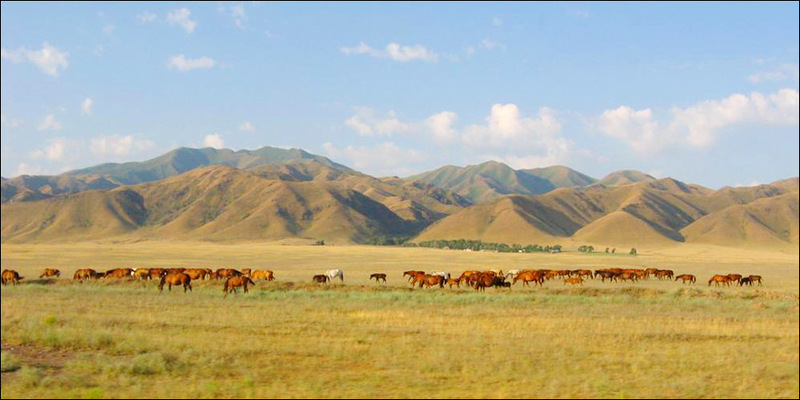 The southern part of Zhambyl region includes the northern slopes of Kyrgyz and Karatau mountains and, in their foothills, a narrow strip of fertile irrigated land. 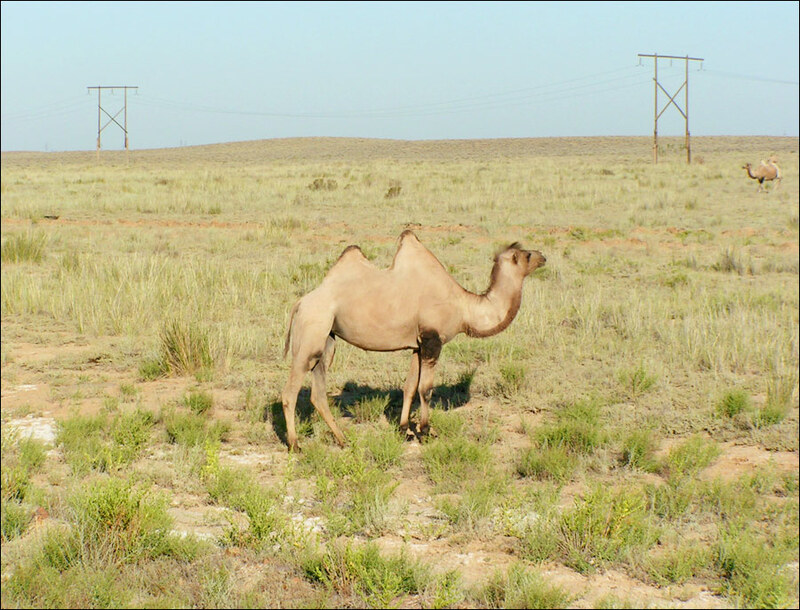 In the center of Zhambyl oblast is the sandy Muyun-Kum Desert, which is separated by Chu River from the clay desert of Betpak-Dala in the northern sector of the region. 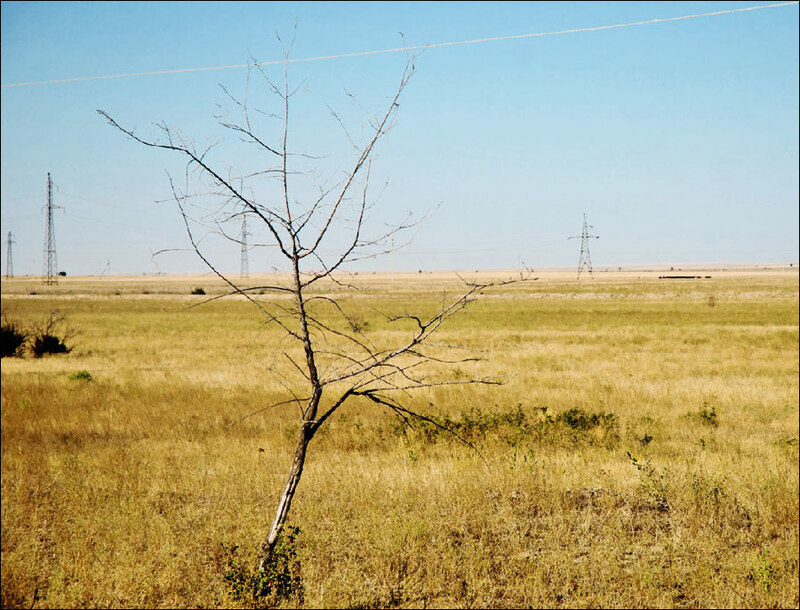 Zhambyl oblast has hot, dry summers and cold winters. 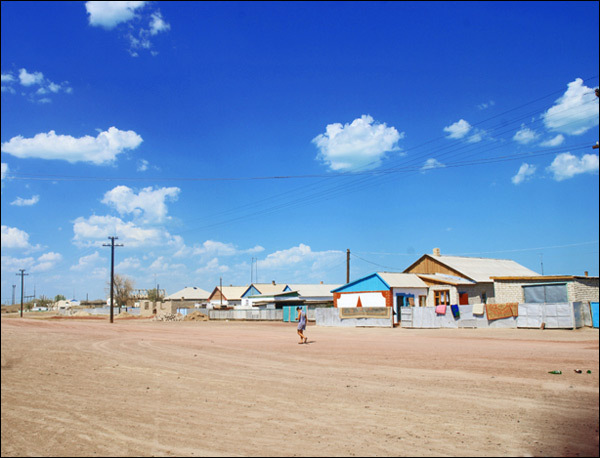 The population of Zhambyl oblast consists mainly of Kazakhs and Russians, with some Germans, Ukrainians, Uzbeks, Tatars, Dungans, and Greeks. 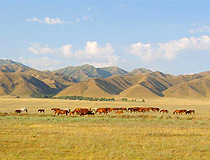 Besides Zhambyl oblast capital of Taraz, the major cities are Chu, Karatau, and Zhanatas. 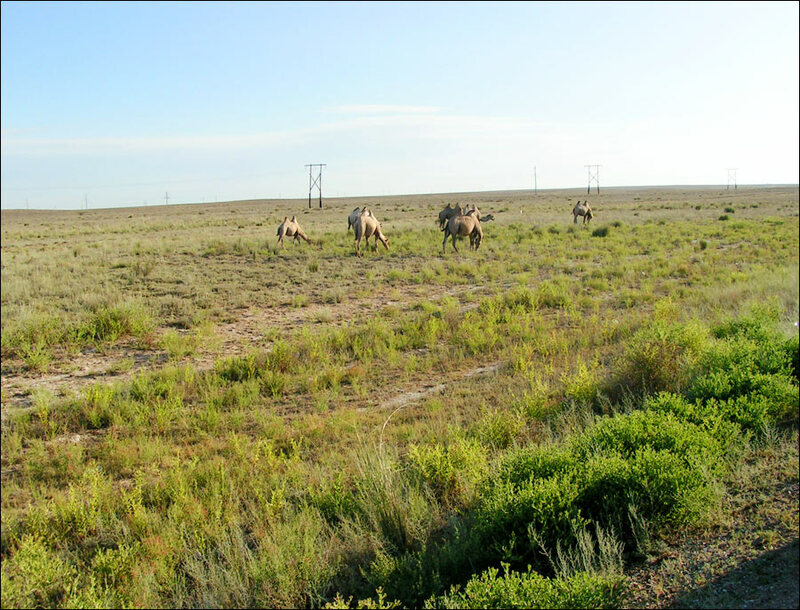 On the territory of Zhambyl oblast there are about 72% of all Kazakhstan phosphorites, 9% of gold, 3% of copper, 0,7% of uranium. 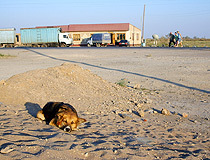 The oblast is rich in non-ferrous metals, coal, decorative and technical stones. Several deposits of natural gas have been prospected within Shu-Saryuskaya cavity. Zhambyl oblast is both industrial and agricultural, 21% of all regional gross output is produced by industry, 16% - by agriculture, 15% - by transportation, 6% - by construction and 9% - by trade. 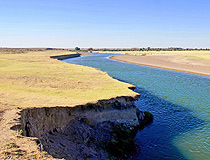 Sugar beets, grain, and tobacco are grown along the Chu, Talas, and Assa rivers in Zhambyl oblast. 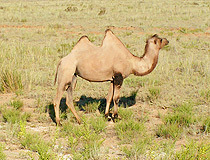 In the drier areas cattle, sheep, and camels are raised. Phosphate production from the rich Karatau phosphorite deposits is important. Zhambyl region industries, which produce sugar and other foods, chemicals, and construction materials, are concentrated in Taraz city. 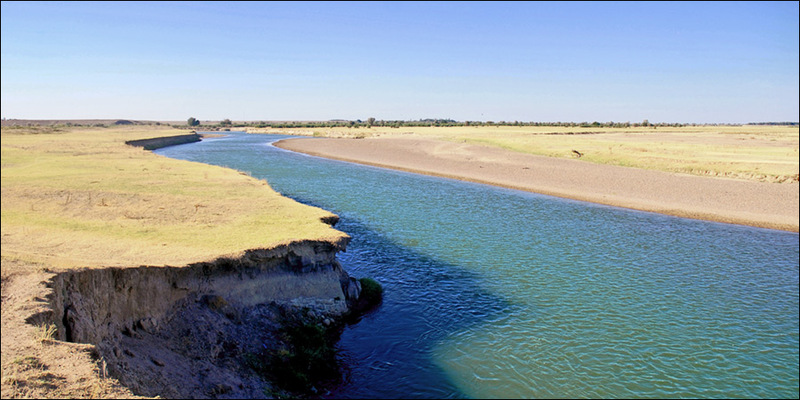 Zhambyl oblast has good opportunities for developing tourism both inner and international. 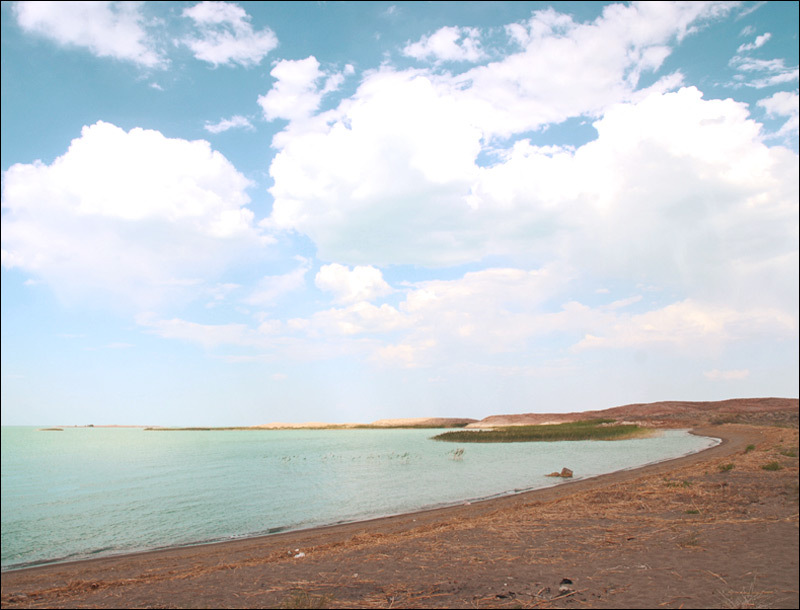 Its territory was crossed by the Great Silk way along which there are a lot of interesting monuments of history and culture. In the city of Taraz there are ancient architectural monuments, such as mausoleums of Aisha-Bibi and Babadzha - Khatun of 10th-11th centuries, Karakhan and Dautbek of 10th-13th centuries. 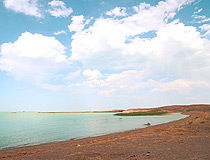 On the territory of Zhambyl oblast there is a great number of landscape and biological territories which are valuable for eco tourism developing, for example, Northern region of Western Tyan-Shan. Flora and fauna are unique there. Asel asks: Where is the Ainalain orphanage located? The address of Ainalain children's and youth center is Kazakhstan, Zhambyl oblast, Zhambyl area, Asa village, Tole Bi Str., 106. Contact phone +7–705–257–04–96. Susan asks: Is there a hospital in Merke, Kazakhstan? If so can you please provide me contact information? If not, where is the closest hospital. Thank you. 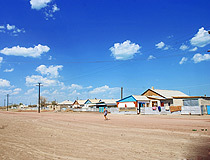 Merke settlement is the administrative center of Merke district. So there is district hospital in this small town. 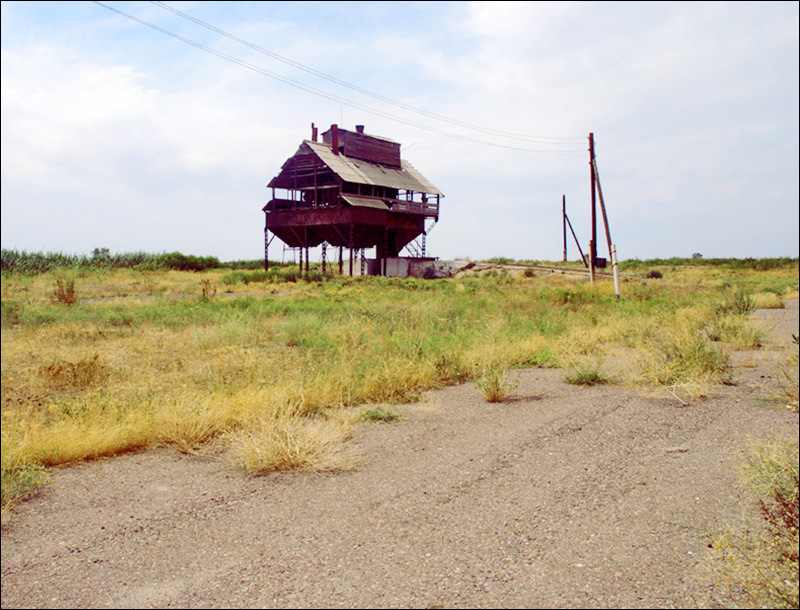 The address is Kazakhstan, Zhambyl oblast, Merke town, Sarymoldaeva Str., 148. Contact phones: +7–72632–2–14–51, +7–72632–2–19–41.